is a two-time ariZoni award-winning Music Director and National Youth Arts award-winning Music Director who has been teaching music and theatre for over 25 years. She graduated with honors from San José State University (Creative Arts and Musical Theatre). Jackie is a graduate of the American Musical Theater Artists' Institute where she rigorously trained in voice, dance, and acting, as well as Shakespeare, improvisation, and stage combat. She also spent a summer studying opera with the chairman of the music department of Manhattan School of Music in New York City. Jackie has extensive experience in the performing arts and professional theatre where she has played leading roles in many musical productions, and has also received ariZoni Nominations for her portrayal of Cinderella in Into the Woods; she is a eleven-time ariZoni nominated Vocal Director and has received four NYA Nominations as Director and Vocal Director, as well as an NYA Award for her vocal direction of CATS, with co-vocal director Shawna Weitekamp. Favorite roles have included Gino/Harpo Marx in Day in Hollywood/Night in the Ukraine, Annie (twice) as Lily and Miss Hannigan, Cathy in The Last Five Years, the Witch in Into the Woods, and Fantine in Les Misérables alongside her daughter Noelle Hammond who played the role of Little Cosette. Jackie has worked with performers ages 2-adult. She composed original arrangements of songs for San José State's Touring Group, "Company One" where in her college years, she performed with them, as well. 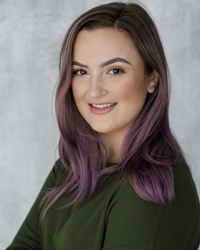 Jackie has vocal directed, directed, and choreographed for many theatres in CA and AZ, including one of the nation's largest youth theaters in San José. 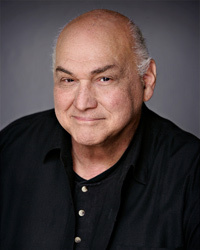 Directing and performing experience includes well over 100 shows to her credit with prestigious theaters such as American Musical Theatre of San José (Equity Theater), Cabrillo Stage, Foothill Music Theatre, This Side of the Hill Players, Second Stage West, University Theater, Desert Foothills Theater, Theaterworks, West Bay Opera, Children's Musical Theatre of San José, Young People's Theater, and iTheatre Collaborative, Phoenix Theatre, and Arizona Broadway Theatre performing in Jeff Kennedy's Christmas Cabaret. In addition to working in theater, Jackie teaches private voice lessons and held the title of Miss Santa Clara County. She would like to thank her husband, Jeff, and her helpful mom for their support. Jackie loves spending time with the lights of her life, her twin children, Lennon and Noelle who always fill her days with entertainment, smiles, and love. Joe is proud to be a member of MTA's family as a composer, writer, Music Director and performer, Joe has found fulfillment in so many ways while working with these MTA young people; it is a gift and a privilege. They are quick has found fulfillment in so many ways while working with these MTA young people; it is a gift and a privilege. They are quick learners, and they never drop the ball! His career has continued through the early Arizona years, the New York Years, the Japan years, and now the Arizona years again which includes Cabarets, shows, CD's, teaching and coaching vocalists. The constant discovery of talent is the best part of teaching and creating and there is no better discovery than MTA! Being a professional all his life has given Joe good health, good dreams, and many rainbows. His family gives him the Spirit and the love, and his work gives him the reward. Onward, upward, and continuation! Shana has been professionally involved in music and theatre all her life. She graduated from the prestigious Hartt School of Music and immediately began her career in the northeast. She was a featured singer/dancer for Holland America and Regency Cruise lines, and has performed several cabarets and concerts in Manhattan, Phoenix, and around the country. 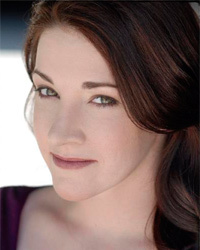 Since moving to Arizona in 1995, Shana, a proud member of Actor's Equity, has performed for many local and national theatre companies and is an AriZoni Award winning actress/director. Favorite, recent rolls include "Glinda" in The Wizard of Oz, "Mrs. Banks" in Mary Poppins, and Rosemary Clooney/Self in "A Swingin' Christmas…Too!" at Tempe Center for the Arts, and "Sally Bowles" in Cabaret at Theatre Artists Studio. Shana is a proud, professional member of the choir at Community Church of the Verdes, and also claims extensive commercial and voice-over credits, and is represented by the Leighton Agency. She is also delighted to have produced her vocal CD, 'This One's On Me'. In addition to performing, Shana spends her time as a loving wife to Dominik and mother to Alexander and Emma, and currently works full time as a music therapist with many clients of all ages. Sarah has been with MTA since its first show and has since had the honor of working on many shows with incredibly talented staff and actors. She enjoys all aspects of theatre including acting, directing, choreographing, and co vocal directing. Sarah won a NYA for outstanding choreography on MTA's production of Legally Blonde Jr. (Co-choreographed with the fabulous Shawna Weitekamp). She would like to thank her family for all their support. "Enjoy the show!" Lyndsie has been dancing since the age of 3 at Dynamic Motion Dance Academy. She has studied Ballet, Pointe, Jazz, Tap, Hip Hop, Breaking, Modern, Ballroom, Lyrical, Contemporary, Musical Theater, and Acrobatics. Lyndsie is certified in Jazz with Dance Master of America and Acro with Acrobatic Arts. She shares her love for dance teaching at studios around Arizona. Lyndsie has worked with various levels of dancers ages ranging from 2-18. 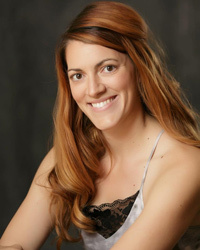 Lyndsie teaches at Dynamic Motion Dance Academy, Dancers Domain, Switch Performing Arts and The Scottsdale School. 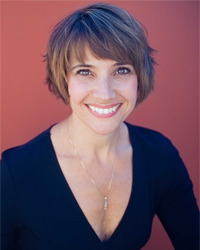 She is a Guest Choreographer at Boulder Creek High School with the Choir and Dance Program. Lyndsie has found her home choreographing shows for Musical Theatre of Anthem. She has done many shows here, her favorites being Disney's Mary Poppins, Once on this Island Jr., and 13 The Musical. 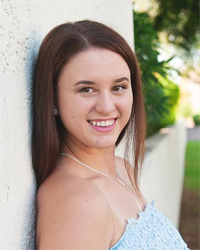 Lyndsie was given the Artistic Merit, Leadership and Academic Award in 2015, which only a few were awarded in the state of Arizona. Lyndsie's choreography has be awarded and recognizes through Competitions, NYAs and district evaluations. She is incredibly grateful to be able to do what she loves every single day. Lyndsie truly just loves to teach dance and work with kids. Lyndsie is excited to continue working with students around the valley, helping them reach new endeavors with their strength, flexibility and technique. Melissa is a director, singer, and actor. She is the Music and Drama teacher at Ridgeline Academy. She graduated from the Pacific Conservatory of the Performing Arts 2 year conservatory program in 2010. There she was immersed in rigorous acting, movement, dance, and vocal training. In 2011, she completed a Casting internship at PCPA. She later went on to complete her BA in Child and Adolescent Psychology at Argosy University. She has performed in The Lion, The Witch, and the Wardrobe (PCPA), Distracted (PCPA), The Importance of Being Earnest (Brelby), Crimes of the Heart (GCC), and Godspell (GCC). 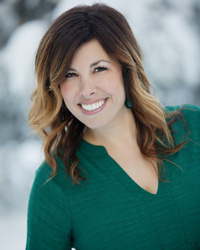 With Ridgeline Academy Drama Club, she has directed Elf Jr., The Lion King Jr., Seussical Jr., Peter Pan Jr., James and the Giant Peach Jr., Beauty and the Beast Jr., and High School Musical Jr. She has vocal directed Annie Jr. and James and the Giant Peach Jr. at MTA. Laura began her theatrical production career as a drama teacher at a private Christian school in Chicago where she produced and directed musicals with 120+ students, ages 6-14. She also served on and eventually led the drama team at her church, where she acted in and/or directed weekly dramas and full-scale adult and children's musical productions. Giving children the opportunity to experience the thrills and benefits of theatre is truly Laura's passion, and she thanks Jackie and Jeff Hammond for allowing her to share that passion with the children and teens of MTA. Laura also wants to thank her husband, Dean, and her daughter, Kelsey, for always supporting her and believing in her. Shawna is so happy to be back at MTA where she has received many awards and nominations for her work as Director, Choreographer, and Music Director. Her very first show at MTA was You're A Good Man, Charlie Brown and she was very excited to revisit it. Some of the other shows she has worked on are The Addams Family Young@Part (D/C),The Secret Garden (D/C), Seussical Jr. (MD), Legally Blonde Jr. (D/C/MD), Les Misérables (C), Cats (co- MD), Carrie the Musical (Co-D, C), Into the Woods (C), Freckleface Strawberry (D/C/MD), Shrek Jr. the Musical (C) and Thoroughly Modern Millie Jr. (D/MD) just to name a few. Thank you, Jackie, for continually giving me opportunities to expand and rediscover my creativity. A few of his local theatre credits include A New Brain, Myths and Hymns, Forever Plaid, Into the Woods, Songs for a New World, Baby, Lucky Stiff, Chess and Badgers: We Don't Need No Stinkin' Badgers. Cris is also a composer and alumni of the Johnny Mercer Songwriters Project and ASCAP TBC Writers' Workshops in Chicago.